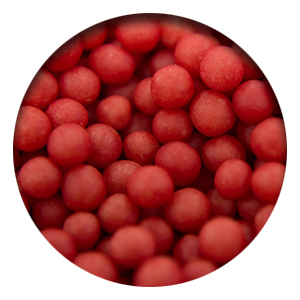 What are Pucker Powder® Bits? Pucker Powder® Bits machines dispenses delicious crunchy Pucker Powder® Bits into a resealable tube. 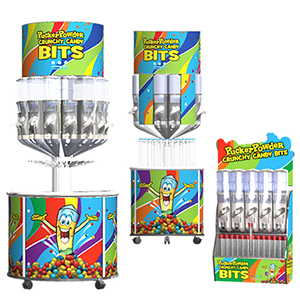 The Pucker Powder® Bits tubes are specially designed to work exclusively with our Pucker Powder® Bits candy bins. All Pucker Powder® Bits bins are self locking. To dispense, simply slide the tube in to unlock the lever and create your own edible masterpiece. The candy bins are portion controlled to minimize waste while maximizing the overall custom candy experience! Each tube comes with a fully resealable lid. These deliciously flavoured candy bits have a soft center covered by a crunchy shell with 18 awesome flavours to mix and match.